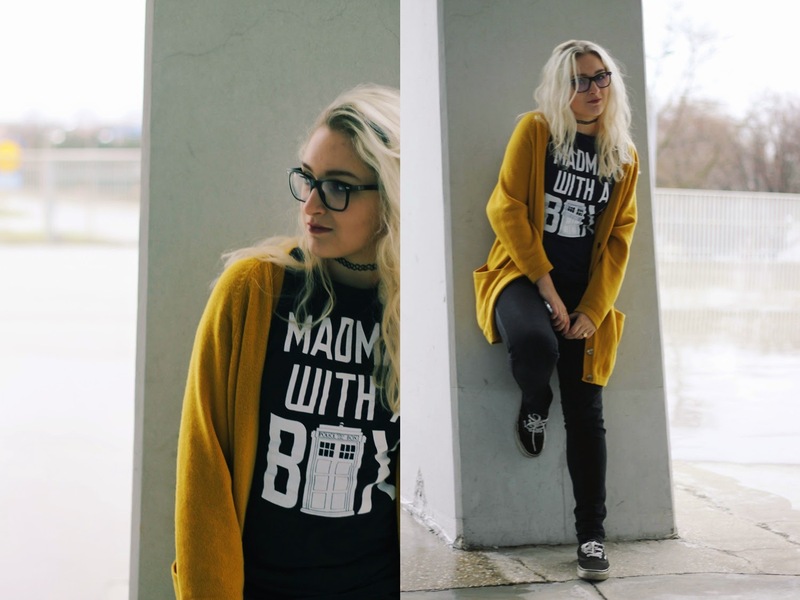 Today I decided to wear my Doctor Who shirt from Hot Topic, with the captio "Madman with a box". I was so happy when I bought it as I have been a fan of the show for a couple of years now, and it's definitely in my Top 3 favourite shows. The cardigan I am wearing is second hand, the jeans are basic black ones from H&M, and the shoes are, you gussed it, Vans. The glasses are original Ray Ban and I just love how they frame my face, also, rings are Forever 21 & H&M.